Dress up your 2014-2015 C7/Z51 and Z06 Corvette with our Polished/Brushed - Stainless Steel, hood panel Corvette Flags badge. 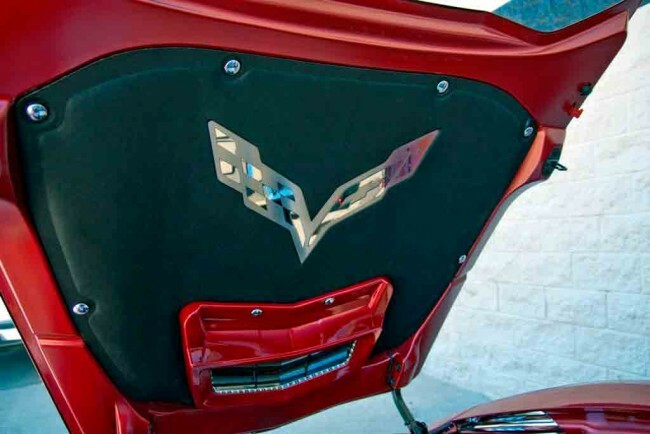 This trim piece is designed to fit all 2014 Corvettes on the factory hood pad liner and add an amazing accent piece to your Corvette's engine bay. Features a multi-textural combination of brushed and polished stainless steel making up the Corvette Flags for a custom look! NOTE: Does not include hood liner/hood pad.